The two authors of the book Bloody Harvest, who were also 2010 Nobel Peace Prize nominees, attended the launch for the Chinese translation of Bloody Harvest, held at the Legislative Yuan (the national legislature) in Taiwan on June 28. Each of the two authors, David Kilgour, who was the former Canadian Secretary of State (Asia-Pacific), and David Matas, the award-winning international human rights lawyer, spoke. The founder of Hong Kong’s largest pro-Beijing political party has spoken out against the Chinese government in a rare criticism of the brutal military crackdown that squashed demonstrations in 1989. Tsang Yok-sing is usually one of the Chinese communist party’s staunchest defenders in Hong Kong , and his Democratic Alliance for the Betterment of Hong Kong – known as DAB – provides an important block of loyalist support in the territory’s legislature. Mr Tsang, who also serves as president of the territory’s legislature, was speaking hours before more than 150,000 people gathered to mark the 21st anniversary of the Tiananmen Square massacre at an annual candlelight vigil. Governed as a largely autonomous special administrative region where civil freedoms are still protected, Hong Kong is the only place in the People’s Republic of China where the victims of Tiananmen are openly mourned . Last year the memoirs of Zhao Ziyang , the former party general secretary who opposed the bloody crackdown on student protesters in 1989, were published posthumously in Hong Kong. Bao Pu, who edited Zhao’s memoirs, said yesterday that he had obtained a rival account of Tiananmen penned by Li Peng, Mr Zhao’s hard-line adversary. In his account, Mr Li stands by the government’s decision to crush the mass protests by ordering the People’s Liberation Army to launch a violent assault. YOU can learn a lot about a country’s political culture by the way it celebrates. In the present mood of mingled discretion and convenience that governs our interactions with China, the Western media chose to avert its eyes from the lifeless spectacle of China’s official 60th birthday celebrations. But if you have a taste for such things, you can view the entire proceedings – from the first rocket-launcher to the very last – in seemingly endless instalments provided by China’s semi-official netizens on YouTube. It’s all there: the familiar balletic processions of white-gloved, goose-stepping soldiery; the unearthly martial music trapped in a perpetual loop; the studiously vacant expressions of the party functionaries and, to indicate the presence of The People, a few dozen cheerfully waving patriotic citizens, hemmed in beside the otherwise empty, echoing expanses of Tiananmen Square. The whole frigid, airless spectacle of political onanism, in short. The sound of the Chinese Communist Party’s one hand clapping. Preserved for our benefit by an invisible army of television cameras, secreted across the most surveilled 50ha of real estate in the world. Imagining ourselves to be polite, we Westerners avert our eyes from it all. Yet this peculiar, tasteless spectacle of official China locked in joyless self-communion suits us fine. For in truth we’re no more inclined to be confronted with China’s dirty historical laundry than is the Chinese Communist Party itself. We’re co-dependents, as the psychoanalysts might say. We belong on the same couch. Those few dozen official representatives of The People, with their unspontaneous applause, suit us well enough too. Once upon a time we told ourselves that the ugly birth pangs of liberal capitalism were endurable because they forced into the world the humanising ceremonies of liberal democracy. Now, in the fag-end of the Western moment, we’ve become bored by liberal democracy, even while we remain captivated by Chinese-built widescreen TVs. And so the official Chinese insistence that liberalism and democracy are simply un-Chinese – and that the citizenry really prefers things this way – works for us too. Outside Tiananmen Square, though, the alleys and passageways of unofficial China have some weightier historical freight to deal with this year. For if the Chinese Communist Party deserved only a single entry in the testimony of history, it would be this: starting in the northern spring of 1959, China’s leadership wilfully enabled the deaths of about 36 million of its citizens, and then watched as they suffered, expired and even consumed each other’s flesh. Neither Stalin nor Hitler, nor any of the other protagonists in either of the 20th century’s world wars, could match this scale of political and humanitarian nihilism. What a grand mosaic that would have made for the October 1 parade. We all have moments of epiphany, little sunbeams of insight, when our small purpose in life’s great medley becomes just a little clearer. Yang has had the benefit of two such glimpses. One came in June 1989, when he realised that China’s momentum towards democracy had been halted for a generation. His response was to record a series of clandestine interviews with exiled premier Zhao Ziyang that will some day enter China’s legitimate historical record. The other came during Yang’s travels as a newsman. It was here that he discovered, from a Red Guard document, that hundreds of thousands had died from starvation in the province where he grew up, as a result of Mao Zedong’s forced industrialisation and collectivisation policies. This discovery aroused the memory – related in agonised detail in Yang’s recent Hong Kong-published book – of his father’s death in China’s great famine. He recalls his father “propped up in bed, his sunken eyes lifeless. His face, with all flesh gone, was slack, with thick wrinkles.” His hand was “skinny as a bag of bones”. There have been Western accounts of China’s 1959-61 famine, but Yang’s Tombstone: A Record of the Great Chinese Famine is the first extensive study, fortified by a hundred interviews and thousands of official records, obtained through his privileges as a journalist. In consequence he has become acquainted with the persuasive powers of Chinese state security and with the not-so-subtle threats of that army of goons to whom state security nowadays outsources many of its coercive functions. But he is not troubled: the book, he says, is meant as a tombstone for his father, for the 36 million who died, and “for the system that lead to the great famine”. The ommunist Party and its Western apologists acknowledge that there was a severe famine in China between 1959 and 1961, and that millions died in it. But they insist this was merely a natural disaster, much as Soviet apologists long sought to characterise Stalin’s terror-famine of the 30s. Yang has confirmed what Western experts long surmised: that Mao and the party hatched the famine as a tool of state policy, to coerce hundreds of millions out of traditional agriculture and into industry and collective farms. There was a shortage of food, true enough, but more lethal by far was the refusal to distribute it. In the reckoning of the party, the human individuum was simply a tool of economic advance, without moral value in its own right. One finger chopped off still leaves nine, as Mao said at the time. From these awful revelations come two conclusions. First: that the Chinese Communist Party, now engaged in its ballet of self-celebration and self-delusion, is arguably the greatest violator of human rights in the history of the planet. (Even today, almost every one of the world’s most inhumane states – from North Korea to Sudan to Zimbabwe – is a Chinese client.) Second: that when the era of the party’s monopoly over China’s public life comes to an end – as it will before too long – its undertakers will come, like Yang, from within its own ranks. China has had its Solzhenitsyn, you might say. It still awaits its Gorbachev. After scolding the West for interfering in the internal affairs of Iran, Beijing’s public relations department will now be on the defensive following riots in Urumqi, the capital of the westernmost region of Xinjiang. Chinese state media has admitted that 140 people have been killed and almost 1,000 arrested. Hundreds had taken to the streets to protest the local government’s handling of a clash between Han Chinese and Uighur factory workers in far southern China in late June, in which two Uighurs died. The police responded to the rallies with force, claiming that the unrest was the work of extremist forces abroad and that a heavy reaction was necessary to bring the situation under control. Given the region’s population of 20 million — barely 1.5 percent of the country’s people — many are wondering: Why has Beijing taken such a hard line in Xinjiang? The reason is summed up in one of the ruling party’s favorite mantras: “stability of state.” Unrest of even a small magnitude, the Chinese authorities believe, can spell big consequences if it spirals out of control. Instability of the sort in Xinjiang today is hardly new for China. Behind Shanghai’s glamour and the magnificence of Beijing, there are large swaths of disunity and disorder. Taiwan, which mainland China still claims as its own, remains recalcitrant and effectively autonomous. Residents of Hong Kong want guarantees that Beijing will not dismantle the rights they enjoyed under British colonial rule. And traditional Tibetans, who fear a complete political and religious takeover by the ethnically Han majority, want cultural and administrative autonomy — even if most have abandoned hopes of achieving outright secession. Many of the 10 million Uighurs in Xinjiang want the same. The current violence is just the latest manifestation of their simmering anger. There is widespread disorder even in provinces that pose no challenge to Beijing’s right to rule. In 2005, for example, there were 87,000 officially recorded instances of unrest (defined as those involving 15 or more people) — up from just a few thousand incidents a decade ago. Most protests are overwhelmingly spontaneous rather than political; they arise out of frustration among the 1 billion or so “have-nots” who deal with illegal taxes, land grabs, corrupt officials, and so on. To deal with the strife, Beijing has built up a People’s Armed Police of some 800,000 and written several Ph.D.-length manuals to counsel officials on how to manage protests. Those documents detail options to deal with protest leaders: namely the tactical use of permissiveness and repression, and compromise and coercion, on a case-by-case basis. The tactics are designed to take the fuel out of the fire. Sometimes leaders of protests are taken away; other times they are paid off; still other times they are given what they want. Much of this is done quietly, which is perhaps why the current riots stand out. When it comes to what Beijing sees as separatist behavior, subtlety is no longer an option. Although their populations are relatively small, Xinjiang and Tibet together constitute one third of the Chinese land mass, and Beijing will not tolerate losing control over these territories. To be sure, the protesters in Urumqi and their supporters cannot spark an uprising throughout China. The protests will eventually be quelled, and their leaders will no doubt be dealt with brutally. But as the history of the Chinese Communist Party tells us, when the regime’s moral and political legitimacy is threatened, the leadership almost always chooses to take a hard, uncompromising line. President Hu Jintao, who incidentally earned early brownie points within the party by leading a crackdown of political dissidents in Tibet in 1989, understands better than anyone that authoritarian regimes appear weak at their own peril. Losing face, he believes, will only embolden the “enemies of the state.” The Communist Party’s Leading Group on Foreign Affairs, which is chaired by Hu, has often spoken warily about the democratic “viruses” behind the “color revolutions” in Ukraine and Georgia, and perhaps eventually Iran — the same kind that could conceivably take root in places such as Xinjiang and Tibet. This is why Chinese authorities are deeply suspicious of any group with loyalties that might transcend the state and regime or at least cannot be easily controlled by the state, such as the Falun Gong, Catholics, or independent trade unions. It’s important to remember that, at home, the government’s hard line is not wholly unpopular. Most Chinese do not support the separatist agendas of Tibet, Xinjiang, or Taiwan. They would rather see a strong and unified China restored to historic glory. No wonder then that the Chinese state media has been quite upfront about reporting on the current unrest in Urumqi. Chinese leaders learned much about control in their extensive studies of the collapse of the Soviet Union. Their conclusion is clear: It was Mikhail Gorbachev’s ill-fated attempts to be reasonable that brought down that empire. The current generation of Chinese leaders is determined not to make the same mistake. And that means no compromise in Xianjiang. Today marks the 20th anniversary of the culmination of the Chinese government’s savage crackdown on the pro-democracy protesters in Tiananmen Square and while, on the surface, China appears to be almost an entirely different country, the ugly methods by which the country’s oppressive government retains power remain the same. Once an isolated and murderous Communist enclave which kept its shutters tightly bolted, China has become the world’s workshop, an exemplar of freewheeling capitalism with seemingly endless supplies of cheap labour harnessed to fuel global demand for consumer goods. China is now an economic heavyweight with leaders who receive deferential hearings at the most prestigious summits.Last sum-mer, China even garnered the ultimate laurel of international respectability when it played host to the 2008 Olympics. This is quite a sea change for a nation which, only two decades past, was slaughtering its own citizens for the crime of demanding a voice in their own governance. On closer inspection, however, the changes at the political level are only skin deep. The Communist Party still reigns supreme and brooks no opposition. Human rights abuses against dissidents and vulnerable members of society such as prisoners, the Falun Gong, Christians and the poor are still widespread and often unchecked. Reports of naysayers being silenced via the harvesting of their vital organs still surface. The party often claims that it is clamping down in the name of stability and social harmony, but more and more this looks like naked aggression designed to nip potential challengers in the bud. Protesters of all stripes, not just democracy activists, are still routinely detained. For instance, nearly 20,000 schoolchildren died in last year’s earthquake in the province of Sichuan, victims of shoddy school construction and China’s culture of endemic corruption and low accountability. Bereaved parents trying to raise awareness of the issue and secure punishment for those responsible have been threatened, detained and silenced by a government anxious to cover its tracks and avoid any sign that it is susceptible to popular opinion. When foreigners protest, China’s stock response is to claim that the complaints constituteunwarrantedinterference in its sovereign affairs. Sadly, many countries and businesses seem willing to go along with this out of self-interest. Were the Tiananmen Square protests to happen today, there is little doubt that the party’s response would be the same –a massive crackdown and killing of those involved. The only difference would be the world’s reaction.There would be token condemnations but little or nothing in the way of sanctions. China is such a vital cog in the economy that few outside parties would turn their backs on the regime or do more than wish for the whole mess to go away. The legacy of the Tiananmen protests is one of failure because China has changed the world more than the world has changed China. TIBET – The Dalai Lama, Tibet’s spiritual leader, fled into exile 50 years ago in March after an abortive Tibetan uprising. Monks’ protests that broke out across the Tibetan region and escalated into deadly riots last year could occur again around March 10, the start of the 1959 uprising. TIANANMEN PROTESTS – Hundreds were killed when Beijing sent the military to crush student-led pro-democracy protests in and around Tiananmen Square 20 years ago this June 4. Demonstrations could be led by families of victims or intellectuals who signed “Charter 08,” a document calling for democratic reforms issued in December. 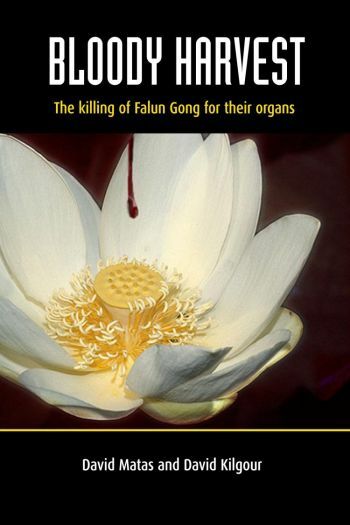 FALUN GONG – July marks 10 years since Beijing banned the Falun Gong, a spiritual movement that draws on Buddhism, Taoism and traditional Chinese breathing exercises. Falun Gong has since accused Beijing of detaining and torturing tens of thousands of adherents, which China denies. Falun Gong supporters who have staged protests in China and abroad could plan demonstrations in Beijing. NATIONAL DAY – Beijing will hold a major military parade to mark the 60th anniversary of Communist China’s founding on Oct 1. Dissidents could use the day to demonstrate for political reforms. On the evening of Oct. 23, at 10:00 p.m., villagers of Hongsu Village of Jiangxi Province were raided by crime syndicate members allegedly hired by the Green Sea Wood Co., Ltd (The Green Sea Company) of Tonggu County. One villager was killed, dozens were hospitalized and several were in critical condition. Villagers said that they called for the police but no police were sent to help them on that night. On Oct. 24, 2008, hundreds of armed police gathered in front of the Green Sea Company to suppress a large crowd calling for justice in regard to the attack of the previous day. Villagers explained that the Green Sea Company is a fairly large company with several hundred staff members. The company officials have made deals with county government officials to sell the valuable natural resources of the county—the Cunninghamia lanceolata trees—and this has damaged the local natural environment severely. including the villagers, pay tolls. However, the Green Sea Company’s employees never paid tolls. Villagers argued with the company officials and hence they hired the attackers to get revenge. Witnesses said that on the morning of Oct. 24 at about 9:00a.m., there were about 20,000 people gathered in front of the Green Sea Wood Company appealing for justice, and a large number of armed police were sent to the scene to suppress them. The police used tear gas to disperse the people. Many local officials were at the scene but apparently, none of them showed any concern for or compassion toward the villagers who had been attacked. Witnesses also said, “Several hundred armed police used batons to beat up and wound villagers. Villagers were then provoked and had a big fight with the police. Note: Tsering Woeser is the foremost Tibetan writer in Tibet and China today. She has published these entries in her blog to record the incidents occurring in Tibet and China. According to Radio Free Asia (RFA), she has been under house arrest in Beijing since March 10. Today– it’s been exactly one month since March 10–is the 28th day since the Tibetans who died during the “3.14” event. It is also called “Kutes Shepa,” in terms of Tibetan burial custom, when many Tibetans in Lhasa light their candles praying for those deceased souls. The No. 19 Arrest Warrant issued by the Department of Public Security of Tibet Autonomous Region, was broadcast in both Tibetan and Chinese on Tibet TV’s Entertainment Channel and Lhasa Television Station. Five men and one woman were wanted. So far there have been 111 wanted Tibetans in total. It was reported that some rooms in the Lhasa Railway Station have been designated as temporary jails. Arrested Tibetans were sent by train to prisons in northwestern China. Currently all Tibetans traveling by train from Lhasa to Xining City in Qinghai Province have been examined thoroughly as many as seven times. No Tibetan is allowed to enter Lhasa without the identification card issued by the Tibet Autonomous Region (TAR). To ensure the successful passage of the Olympic Torch through the Himalayan region in early May, the TAR instructed travel agencies not to allow foreign visitors. This notice withdrew an earlier decision by the regional tourism department, that is, the Tibetan region will be reopened to foreign tourists as of May 1. According to sources, some monks were arrested from the Labrang Monastery in Xiahe County in the region of Amdo (under Gannan Tibetan Autonomous Prefecture in Gansu Province) because yesterday they told the truth, to some foreign reporters. About 30 monks from the Oula Monastery in Machu County and 10 other Tibetans in Machu’s Oula Town were arrested on the evening of April 7. Lobsang Tscheng, Lobsang Tsundue, Lobsang Tinley, Lobsang Ngama and Jamyang Ngama were among the 23 monks who were arrested from the Kirti Monastery in Aba County in the region of Amdo (under Aba Tibetan Autonomous Prefecture in Sichuan Province). Theauthorities are launching a propaganda campaign across Aba to conceal the truth. Local people were asked to make declarations, in front of propaganda agents’ cameras, stating: “Oppose the Dalai clique; never collect Dalai Lama’s portraits; do not join in the Dalai clique; never follow national splittists; the plot of ethnic separation will be foiled; support the Chinese Communist Party (CCP); follow the Party’s leadership and express thanks for the Party’s kindness.” They were also warned that they would be arrested if they refused to make such a public declaration. KATHMANDU—Paramilitary police in China’s southwestern Sichuan province fired on a crowd of Tibetan protesters demanding the release of two detained monks, killing and wounding an unknown number of people, Radio Free Asia (RFA) reports. At about 8 p.m. April 3, paramilitary People’s Armed Police fired on a crowd of several hundred monks from the Tongkor monastery in Kardze (in Chinese, Ganzi) and several hundred residents, witnesses told RFA’s Tibetan service. The witnesses, who declined to be identified, said they believed 15 people were killed and dozens injured, with scores more unaccounted for as of April 4. Phone communication with the region was cut off after the shooting and no further information was available. The unrest around Tongkor monastery—unaffected by recent unrest in Tibetan areas until this week—began after Chinese authorities tried to launch a “patriotic education” campaign there aimed at quashing support for Tibetan demonstrations elsewhere. He also pledged to consult with the roughly 400 monks in his monastery, calling a meeting at which one monk, Yeshe Nyima, said: “We cannot criticize the Dalai Lama, even at the cost of our lives.” The other monks agreed, witnesses said. The police also searched the monastery, finding and destroying photos of the Dalai Lama and taking down photos of the monastery’s previous head lama, Tongkor Shabdrung, the witnesses said. Police then arrested a monk named Tsultrim Tenzin, 74, and a lay person identified as Tsultrim Phuntsok, 26, witnesses said. The following day, some 350 monks and another 350 lay people gathered to demand the men’s release. Officials told them to leave for 25 minutes and calm themselves, and the men would be freed. But the crowd refused to disperse, and at 8 p.m. police opened fire on the crowd at Tongkor subdivision, witnesses said. Late last month, Xinhua reported that protesters in Kardze attacked police with knives and stones, killing one officer. Stepped-up patriotic education has been ordered as part of a crackdown on dissent following deadly riots in the Tibetan capital, Lhasa, which began March 14. Authorities say 22 people died. Other reports say up to 140 people were killed in the protests and ensuing crackdown. Calls to county government offices and the county police station rang unanswered. The shooting came after nearly three weeks of violence and unrest in Tibetan areas of China, in which scores of people are believed to have died and hundreds of people arrested. The Chinese government has effectively locked down Tibetan regions with a massive security presence. BEIJING, March 27 — The riots in Tibet two weeks ago have turned into a major challenge to China’s leaders, whose decision to use military force and restrict media access has cast a shadow over hopes for an unblemished Olympics this summer. The uprising in the remote Himalayan region lasted for barely more than a day. But it generated a worldwide swell of concern. Now, the Games — intended to be a festive coming-out party for modern China — could become a dramatic reminder that the Communist Party still relies on Leninist police tactics and Orwellian censorship to enforce its monopoly on power. The fallout from Tibet has not subsided. In Ancient Olympia on Monday, pro-Tibet demonstrators disrupted a ceremony to light the Olympic torch. On Tuesday, French President Nicolas Sarkozy suggested there might be a boycott of the Games’ opening ceremony. And on Thursday, as Chinese authorities led foreign reporters on a tour of region in an effort to demonstrate that it had been tamed, a group of monks confronted the journalists, shouting that they were being denied religious freedom. Criticisms of China on human rights issues have long been rife among foreign activists and some governments, analysts noted, but the Tibet crisis raised their global prominence just as the Olympic Games provided a ready forum to push the message. The protesters who disrupted the torch ceremony in Greece, for instance, got attention on a level that they could not have dreamed of before the riots in Tibet on March 14. As party chief, President Hu Jintao has the most to lose if the shine comes off the Olympics, along with his protege Zhang Qingli, party secretary for Tibet. But Hu’s likely successor, Xi Jinping, also has been thrust into the biggest test of his career. Elevated to the Politburo’s elite Standing Committee and dubbed Hu’s dauphin in October, Xi was assigned last month to provide overall supervision of the Olympic preparations being run day-to-day by Liu Qi, the Beijing party secretary. Another newcomer to the Standing Committee, Zhou Yongkang, also has encountered what amounts to a baptism of fire. Formerly the public security minister, in October he became the party’s senior official in charge of security. Li Changchun, a veteran Standing Committee member, has played a key role as well, assigned to run the party’s propaganda apparatus. Curiously, he left for a visit to Mauritania and other Arab countries as the public relations crisis raged. With Tibet unrest having seized the public’s imagination abroad, the Chinese government already has lost its battle to keep politics out of the Olympics, said Li, the editor. He said the government should brace itself for an onslaught of protests over Tibet, Darfur, human rights and other causes before and during the Games, both in China and outside. The party’s security apparatus — the Public Security Bureau, the People’s Armed Police and the People’s Liberation Army — have blanketed Tibet and other Tibetan-inhabited parts of China over the last two weeks. Chinese officials have voiced confidence that the vast deployment can smother what remains of Tibetan unrest in the days and weeks to come. Given experience, there was no reason to doubt their word. But there is little they can do to apply similar pressure against protesters promising to disrupt the Olympic torch relay at its stops abroad. Even in China, where authorities have vowed the relay will go on as planned, cracking down hard on foreign protesters — in view of legions of television cameras — would make a mockery of China’s Olympics motto, “One World One Dream.” Plans to carry the torch to the top of Mount Everest and display it on a run into Lhasa have become particularly difficult to execute without restricting access in a way certain to draw howls from foreign groups. Already, Olympic officials in Beijing, fearing protests, have refused to reveal the route of the Olympic torch as it moves Monday from its arrival at the airport to Tiananmen Square for a ceremony marking the launch of its world travels. Despite pledges to allow open reporting during the Olympics, Chinese officials have reacted to the uproar over Tibet mainly by restricting journalists and, in language reminiscent of another era, questioning the motives of critics. Qin Gang, a Foreign Ministry spokesman, said Tuesday that the protesters in Greece were “shameful” and should be feeling “remorse” for their actions. 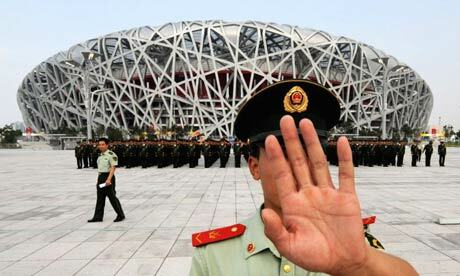 So far, world leaders have avoided calling for a full-scale boycott of this summer’s Beijing Olympics. But as Beijing’s brutal treatment of Tibetans becomes more overt, and as the regime’s rhetoric becomes more shrill and paranoid, that may change. China’s violence against Tibetans has spread from Lhasa to neighbouring Chinese provinces with large Tibetan populations. Most cities are under martial law. Roadblocks prevent internal travel, and keep Western journalists from reporting the truth. Police and soldiers are going house-to-house searching for suspects. Over 100 already have died, and at least 700 have been arrested. This week, the Chinese government issued a 53-name “most-wanted” list containing the names of people it claims incited the deadly mid-March antigovernment protests. Included on the list were known dissidents whom Beijing has singled out because of their political views rather than any complicity in the Lhasa uprising. In view of all this, Canada must find a meaningful way of communicating its disgust with Beijing’s actions. At the very least, Stephen Harper’s government should announce that Canada is boycotting the Games’ Aug. 8 opening ceremonies (an idea that is also being explored by several European countries). We should also announce that no federal officials will attend the Games. By boycotting the opening ceremony — and urging other nations to do the same — Canada would help diminish the value of the Olympics as a propaganda tool for the Chinese government. Beijing is anxious for the event to be seen as a sort of coming-of-age party — de facto proof that China has been accepted into the community of civilized nations. By boycotting the opening ceremonies, the message would be very different: We are sending our athletes to the Olympics because Beijing, regrettably, is the location the International Olympic Committee (IOC) selected — but we are holding our nose while doing so. We should be prepared to do more, too. If China’s actions in Tibet (or anywhere else) becoming bloodier –if we begin to witness atrocities on the scale of the 1989 Tiananmen Square killings — then Canada should boycott the Games outright. Ottawa should now put the Chinese on notice that this is an option we are considering. We also should make plans for following through on the threat if the need arises. Specifically, Canada should attempt to form a coalition of democracies that would pressure the IOC to take the Summer Games away from China if events warrant. The Games wouldn’t have to be canceled: Olympic sports could easily be divvied up among sites in other nations. There are several stadiums — including London’s 90,000-seat New Wembley — that could host track and field. Germany just hosted soccer’s World Cup less than two years ago, and its pitches could accommodate the Olympic tournament. Basketball could be held at any one of 50 sites in the United States. Montreal recently hosted the world championships of diving, and could easily accommodate the aquatic events. And so on. We have no illusions about the challenges that principled nations would face in implementing such a plan. Boycotts are often ineffectual. They seldom change the disputed policies of the host country. The 1980 boycott of the Moscow Olympics by Western athletes, for instance, neither convinced the Soviets to withdraw from Afghanistan nor brought about the immediate fall of communism. “Alternative games” typically fare no better. Who remembers the Liberty Bell Classic organized in 1980 by the 29 countries that refused to send athletes to Moscow, or 1984’s Friendship Games, held by the 50 countries that stayed away from that summer’s Los Angeles Olympics in retaliation for the 1980 boycott? At both alternate competitions, several performances bested those of the gold medal winner at the official Olympics, but no one recalls who won at the second-best games. The lesson: If a China boycott is to have real impact, the IOC must take away the official Olympics from China outright, and give the sports to other venues. The games that take place in alternate locations must be held under the banner of the “real” Olympics — otherwise, they aren’t worth staging. Despite China’s newfound wealth and growing international influence, the country’s actions in Tibet show that its leaders are nothing more than old-style communists — paranoid, nationalistic to the point of obsession and brutal to all those who challenge their policies. Yet so far, the IOC has been reluctant even to acknowledge China’s sins — despite the fact that China’s actions contravene explicit promises Beijing made to IOC officials as a condition for being awarded the 2008 Games. Even if China continues to commit atrocities against its own people, convincing IOC officials to move the Games will not be easy. That is why Ottawa must take a leadership role in building the groundwork– starting now. BEIJING (Reuters) – Tibetan monks stormed a news briefing at a temple in Lhasa on Thursday, accusing officials of lying about unrest and embarrassing Chinese authorities during a stage-managed tour by foreign reporters. Authorities say calm has been restored since an anti-Chinese uprising erupted in the Tibetan capital two weeks ago. China says its security forces acted with restraint and that 19 people died at the hands of Tibetan mobs during the unrest. On Thursday young monks at the Jokhang Temple, one of the most sacred in Tibet, stormed into a briefing by a temple administrator for a select group of foreign journalists, the first allowed into Tibet since the uprising. “About 30 young monks burst into the official briefing, shouting: ‘Don’t believe them. They are tricking you. They are telling lies’,” USA Today’s Beijing-based reporter Callum MacLeod said by telephone from Lhasa. Hong Kong’s TVB aired television footage of the bold outburst in front of the foreign journalists, showing monks in crimson robes, some weeping, crowded around cameras. They said they had been barred from leaving the temple since March 10, when demonstrations erupted on the 49th anniversary of an abortive uprising against Chinese rule that saw Tibet’s spiritual leader, the Dalai Lama, flee into exile in India. Wang Che-nan, a cameraman for Taiwan’s ETTV, said the incident lasted about 15 minutes, after which police took the monks elsewhere in the temple, away from the journalists. They told the journalists: “your time is up, time to go to the next place”, Wang said. The body of a girl shot dead in the Ngaba County protest on 16 March was identified as Lhundup Tso, 16 years-old girl and a student of Ngaba County Tibetan School, according to confirmed information received by the Tibetan Centre for Human Rights and Democracy (TCHRD). On 16 March 2008, around few thousands Tibetans erupted into a spontaneous protest following the morning prayer session at Amdo Ngaba Kirti Monastery in Ngaba County by shouting slogans calling for “Tibet Independence”, “Return of the Dalai Lama to Tibet”, and “Freedom for Tibet”. The demonstration was later joined by common citizens of Ngaba County and headed towards Ngaba County government headquarters. At least 23 people including as young as 16 years old student, Lhundup Tso, were confirmed dead following Chinese Armed police shot many rounds of live ammunitions into the protestors at Ngaba County (Ch: Aba Xian), Ngaba “TAP”, Sichuan Province on 16 March. The names of those identified are, Tashi Wangchuk, Ghegyam, Norbu, Lotse, Ghepan Thalo, Ngudrup Tso, Atisha, Sangye, Tsezin and identities of others were not yet known. Lhundup Tso, a 16 years-old was born to Mr. Jigshe (father) and Mrs. Sherab Tsomo a.k.a Shetse(Mother). She was a brilliant student of Ngaba County Tibetan School, Ngaba County, Ngaba “TAP”, Sichuan Province. The present situation in Ngaba County, in particular, is known to be very tense following mass protests in the past few days which saw deaths and injuries of scores of Tibetan in the peaceful demonstration. More reinforcement from the Mainland China is sent into the area to check the further spread of protest into neighboring counties and bring situation under tight control. According to TCHRD, at least 70 Tibetans were known to have been killed since the 14th March protest in Lhasa led by the monks of Ramoche Temple. And the number of dead and injured are likely to go up as more incidents of protests and armed police violent crackdown on protesters are surfacing from various parts of Tibet. The Centre will continue to monitor the situation closely and will update as and when more information surface from the region. TCHRD condemns in strongest terms the Chinese security forces’ brutal use of force on the peaceful Tibetan demonstrators and is deeply disturbed by the imposition of intense and severe restriction on the movements of the Tibetan people, severely affecting their daily lives, denying immediate access to food, fresh drinking water and other basic and essential necessities to sustain life. TCHRD conceives that the ongoing severe restriction inside Tibet has all the elements of ‘Martial Law in Disguise’. Reporters Without Borders is outraged by the methods being used by the Chinese authorities to obstruct foreign journalists trying to cover the situation in the Tibetan regions, and calls for the immediate and unconditional return of the foreign press to Tibet and to nearby provinces with a sizable Tibetan population. At the same time, the jamming of international radio stations has been stepped up in Tibet and Internet café owners are being forced to increase the surveillance of clients, while government propaganda continues to rage at the “Dalai Lama’s clique” and foreign news media. Reporters Without Borders has recorded more than 40 serious violations of the rights of foreign journalists since 10 March. They have been prevented from working freely in the cities of Lhasa, Beijing, Chengdu and Xining, as well as in other places in the provinces of Gansu, Sichuan and Qinghai. One of the cases cited by the Foreign Correspondents Club of China is that of a Finnish TV crew that was arrested on 17 March in Xiahe (in Gansu province), where there had been Tibetan demonstrations against the Chinese government. The TV crew was threatened and its video recordings were confiscated despite its protests. “You don’t want to know what will happen if you don’t show us the footage,” one of the policemen told reporter Katri Makkonen. Police forced journalists working for British television channel ITV to leave Xiahe the previous day after stopping them and taking a note of their names several times. They were also filmed by plain-clothes police. ITV correspondent John Ray said their Chinese driver was “terrified” when the police took down the details of his driver’s licence and vehicle licence number. Police in Chengdu (the capital of Sichuan province) prevented journalists working for US television network ABC from filming in a Tibetan district on 16 March. The police told them to keep moving and made them leave in a taxi. Correspondent Louisa Lim of US National Public Radio was turned back at several police checkpoints as she tried to travel to Xiahe. She was then followed for about 300 km by an unmarked police car until she arrived at an airport. At least two French reporters suffered the same fate in this region adjoining Tibet. Several reporters and photographers working for the Associated Press news agency were also prevented from working freely. Journalists were also prevented from freely covering a small demonstration held in Beijing University on 17 March by Tibetan students, who lit candles. Dozens of the demonstrators were arrested. In Tibet, Internet café owners have been ordered to prevent all “state secrets,” including photos and videos, from being sent abroad. At the same time, the telephone service is still subject to extensive disruptions. Despite the blackout, some pictures of the recent protests continue to circulate and Reporters Without Borders was able to obtain footage of Tibetans who were shot dead in Lhasa and Amdo. While state-owned Lhasa TV broadcast footage of the “agitators” behind the protests, the official Xinhua news agency reported that more than 100 demonstrators, described as rioters, had surrendered to the authorities. A Shanghai journalist told Reporters Without Borders that the Chinese media have been told by the Propaganda Department to use only Xinhua’s reports about the situation in Tibet. Jamming of international radio stations has increased since the start of the protests. The director of Voice of Tibet, which is based in India, told Reporters Without Borders that the Chinese authorities have stepped up their use of small jamming stations located near cities to prevent the population from hearing of its programmes. As Reporters Without Borders noted in Tibet in 2006, the authorities broadcast Chinese-language programmes and low-pitched noises, such as drumming and aeroplane noises, on the same frequencies as the Tibetan stations based abroad. Voice of Tibet has increased its daily broadcasts by two hours. Reporters Without Borders today strongly condemned steps taken by Beijing to prevent media coverage of demonstrations and an ongoing crackdown in Tibet and in provinces where Tibetans live. Foreign journalists have been stopped from entering the province and tight censorship has been imposed on the Internet and in the Chinese press. The authorities have since 12 March refused to grant foreign correspondents permits to enter Tibet and at least 25 journalists, including 15 from Hong Kong, have reportedly been expelled from Tibet or Tibetan areas. “The freedom of movement for foreign journalists had been one of the few positive developments ahead of the Olympic Games, but this is now being flouted by the Chinese government facing Tibetan protests,” the worldwide press freedom organisation said. “Online censorship is also veering into racism, with comment items urging the killing of Tibetan separatists, while all independent news on the events is being censored,” the organisation added. The authorities have refused entry to Tibet to foreign correspondents since 12 March and tourists are also being denied access, for security reasons, according to the authorities. One European correspondent confirmed to Reporters Without Borders that requests for permission to enter Tibet faxed to the Beijing authorities have gone unanswered. Officials responsible for giving permits for Tibet stopped answering phone calls from 14 March. The Foreign Correspondents Club of China said at least 25 journalists, 15 of them from Hong Kong, had been expelled from Tibet or Tibetan areas, particularly Xiahe in Gansu province. Jonathan Watts, correspondent for British daily The Guardian, was today prevented from going through a police check point in this border province. “After checking my passport, the police told me to go back and I had to leave the region. They had obviously expected the arrival of foreign journalists, because one of the policemen spoke English,” he said. At least six other foreign media have been forced to leave the regions where many Tibetans live. And Agence France-Presse (AFP) reported that foreigners were being refused train and bus tickets in Gansu province or to be allowed to stay in Tongren, in the neighbouring province of Qinghai, where large numbers of Tibetans live. A few foreign journalists are still inside Tibet but are unable to move around normally because the cities are under police and army control. A reporter with The Economist, who is in the capital, Lhasa, had obtained permission to travel to Tibet before the start of the demonstrations. The decision of the authorities to close Tibet to the press is in contravention of the rules for foreign media adopted in January 2007, ahead of the Olympic Games. And in an introduction to the “Guide to services for foreign journalists during the Olympic Games in Beijing”, the city’s mayor Liu Qi, wrote : “The freedom of foreign journalists to carry out their professional work, will be guaranteed”. Nearly 15 Hong Kong journalists representing at least six media were expelled from Lhasa, accused by the authorities of “illegal reporting”. They were then forcibly taken to the airport and put on a flight to Chengdu in Sichuan province. “They were not very polite. They came and looked at our computers, searching for video footage,” Dickson Lee, a photographer on the South China Morning Post, told AFP. They had earlier got footage out of Lhasa of the riots which left nearly 80 dead, according to the Tibetan government in exile. The Hong Kong Journalists’ Association (HKJA) has called on the authorities to reconsider the expulsions. The Chinese authorities also forced most foreign tourists in Tibet to leave the province. Some of them who witnessed the first demonstrations had provided photos and footage of the protests and the crackdown. It is more and more difficult for the foreign press to gather news, particularly about the hunting down of demonstrators because telephone connections have been cut in Tibet. Foreign-based Tibetan websites, particularly phayul.com, have posted a number of accounts and footage of the events, thanks to networks within Tibet. The video-sharing website Youtube has been censored since 16 March after footage was posted of demonstrations in the streets of Lhasa. The message, “incorrect address” appears when anyone tries to open it. The Youtube videos are also inaccessible from the website Google Video. The BBC, CNN and Yahoo News websites have been regularly inaccessible over the past few days. Anyone searching for Tibet in Chinese can see videos on YouTube.cn and on others web sites which are hostile to the Tibetans along with insulting remarks about “separatists Tibetans” which are not censored. Chinese video-sharing platforms, the most popular of which are http://www.tudou.com and http://www.56com, have had all news referring to the latest events deleted. On the other hand one can find news websites on which racist comments have been posted about Tibetans, calling for the murder of the “separatists”. Reporters Without Borders has been able to confirm that the cyber-censors have not been deleting them, although all messages referring to Tibet are undergoing advance filtering. Finally, broadcasts within China of international television, CNN and BBC, were cut by the Chinese authorities on several occasions during showing of footage of events in Tibet. While official television has been showing only film of Tibetans attacking Chinese businesses, without referring to Tibetan casualties and the army deployment. Trying to get access to unofficial news is very hard for Tibetans. All media are controlled by the Chinese Communist Party or public bodies. A few underground publications run by Tibetans, particularly monks, are circulated secretly. Chinese and Tibetan journalists in this Himalayan province are forced to comply with state directives much more than in the rest of China. Only articles on official religious demonstrations are allowed. Party members are to be found in all key posts of the administration and media in Tibet, ensuring there is no chance of any editorial freedom. Articles are submitted to “journalist-censors” before being published. Radio Free Asia (RFA) and Voice of America (VOA), based in the United States, along with Voice of Tibet (VOT), based in India, are the three main radio stations that broadcast programmes to Tibet in the Tibetan language, but these programmes are systematically jammed. Thanks to their acquisition of ALLISS aerials made by the French company Thalès, the authorities have been able to boost their capacity to jam broadcasts, particularly in Tibet. Radio Free Asia has as a result been forced to use around a score of different frequencies to try to get round this censorship. During an on-the-spot investigation in Tibet in 2006, representatives of Reporters Without Borders found that the Chinese authorities constantly tried to scramble broadcasts using thudding sounds and music. In Lhasa, RFA and VOT programmes in Tibetan were drowned out by broadcasts in Chinese. Many monks do continue to secretly listen to these broadcasts inside their monasteries. The Chinese authorities are particularly watchful about Internet use in Tibet. Identity cards are systematically checked in Cyber-cafés and several websites and discussion forums were closed in 2007. One instance was the closure in December 2007 of the most popular discussion forums with Tibetan students (http://www.tibet123.com). WASHINGTON (AFP) — China’s crackdown on Tibetan protests has dealt a major embarrassment to US President George W. Bush’s administration, which removed the Asian giant from a human rights blacklist just three days before the bloody repression, experts say. Rights groups and some lawmakers were dismayed by the State Department’s decision last Tuesday to drop China from its list of the world’s worst human rights violators despite what they called Beijing’s worsening rights record even as it prepared to host the Olympic Games in August. As Chinese troops moved Friday to quell the worst protests in 20 years against Beijing’s rule in Tibet amid claims of heavy casualties, Bush could come under pressure to restore human rights as top priority in bilateral relations, experts said. “Clearly the Bush administration has been very, very leery of dealing with the Chinese on the human rights issue,” said John Tkacik, a former China expert in the State Department, who feels Washington’s Asia policy has been skewed by heavy US reliance on China to end North Korea’s nuclear weapons drive. “So if your only priority is North Korean nuclear weapons, you subordinate everything else to what China wants and that’s unfortunately what seems to have happened here,” he said. The Tibet crackdown is a “big embarrassment for Bush, coming just a couple of days after the State Department decision to delist China as a top human rights violator,” said T. Kumar, Amnesty International’s Washington-based Asia-Pacific advocacy director. In a move seen by some as kowtowing to China, Bush has pledged to attend the Olympic Games and effectively endorsed Beijing’s contention that the Olympics have nothing to do with politics. Frank Wolf, a senior House Republican lawmaker and human rights crusader, has asked Bush not to attend the Beijing games, comparing it to the Berlin 1936 Olympics at the time of the rise of Adolf Hitler and the Nazi Party in Germany. At least 80 people have been killed in unrest following protests by Tibetans against Chinese rule, the Tibetan government in exile says. Indian-based officials said the figure was confirmed by several sources, even though China put the death toll at 10. The Dalai Lama called for an international inquiry into China’s crackdown, accusing it of a “rule of terror” and “cultural genocide”. Chinese troops were out in force in Lhasa, Tibet’s main city, on Sunday. Hong Kong Cable TV reported that about 200 military vehicles, each carrying 40 to 60 armed soldiers, had driven into the city. China tightly restricts Western journalists’ access to Tibet and it is sometimes extremely difficult to verify what is going on. The BBC has learned that troops in neighbouring Sichuan province have been recalled from leave and put on standby. 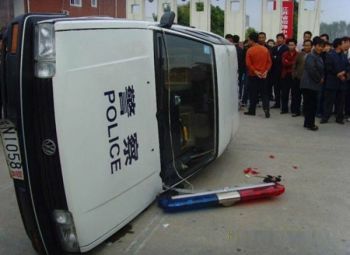 The Chinese crackdown followed rioting on Friday, that erupted after a week of mainly peaceful protests. The Chinese official news agency Xinhua says 10 people died on Friday, including business people it said were “burnt to death”. But the Tibetan government in exile later said at least 80 corpses had been counted, including those of 26 people killed on Saturday next to the Dratchi prison in Lhasa. Other bodies were spotted near the Ramoche Buddhist temple, and near a Muslim mosque and a cathedral in Lhasa, said Tenzin Taklha, a senior aide to the Dalai Lama. “These reports come from relatives, from our people inside and from contacts of our department of security. They have all been confirmed multiple times,” he said. The demonstrators, who on Friday set fire to Chinese-owed shops and hurled rocks at local police, have been penned into an area of the old town by government forces. The authorities in Tibet have urged the protesters to hand themselves in by midnight on Monday, promising leniency to those who surrender. Meanwhile, there were reports of protests by Tibetans in other parts of China. About 200 protesters threw petrol bombs and burned down a police station in Sichuan province, a police officer told Reuters. When journalists at China’s national broadcaster CCTV log on, one of the first things that pops up on screen is a notice about what not to report. These notices are often short and seldom say who has authorised them, but they all contain strict instructions about how to report a story. Journalists were recently warned off a health scandal, told how to report the death of Benazir Bhutto and had to steer clear of a Hollywood film story. Censorship has been an everyday feature of news reporting in China for as long as the Chinese Communist Party has been in power. But this wide range of so-called sensitive stories shows that, in China, any story on any subject at any time can still fall foul of the censor’s red pen. As 2007 came to a close, it was three very different stories that received particular attention from censors working at China Central Television (CCTV). On 19 December, journalists received a notice banning them from carrying reports about the death of a pregnant migrant worker. The news had previously been widely reported in the Chinese media. The saga began when the woman was rushed to a Beijing hospital with what her husband said was a simple cold. But doctors said she was suffering from pneumonia and needed an emergency caesarean. Her husband, believing the hospital wanted to charge him for an expensive and unnecessary operation, refused. Three hours later his wife was dead. The terse notice banning CCTV journalists from reporting this story did not say why it was sensitive, but health is a hot topic for ordinary Chinese people. Many suspect doctors prescribe expensive drugs and order unnecessary tests and treatment to boost their salaries. Two days later, the CCTV censors were worried about another story – reports that China had banned some Hollywood films from Chinese cinemas. Censors decided this story could not be reported at all. Again, the notice did not say why, but there has been trade friction between China and the US for some time. Perhaps the government did not want to add to the tension by talking about another potential trade dispute between the two sides. The third story that caused problems was the death of Pakistan’s former Prime Minister Benazir Bhutto two days after Christmas. China and Pakistan are close allies, and the government presumably did not want to cause a friend unnecessary trouble. Of course, it would have been hard to simply ignore the assassination, so on 28 December CCTV journalists received explicit instructions on how to report the killing. Reporters were told to stick to the facts and not connect the incident with Pakistan’s internal turmoil or mention the possibility of terrorism. “Avoid drawing fire against ourselves. Avoid being drawn into Pakistan’s internal contradictions,” the notice read. And this time journalists were told exactly who had authorised this order – the party’s Central Propaganda Department. These three stories are just the tip of the iceberg, according to David Bandurski, a researcher with the Hong Kong-based China Media Project, which monitors the media in China. “There are all kinds of bans and missives against all kinds of stories for different reasons,” he says. Certain subjects are always out of bounds in China, such as speculation about China’s national leaders. Other issues, such as health, education and inflation, are closely monitored because they are potentially controversial. CCTV journalists were recently told to follow the lead of Xinhua, China’s national news agency, when writing reports about fuel price rises. Sometimes even innocent stories can become sensitive, such as a recent debate about digital TV, because it touched on the issue of consumer rights. Despite the obstacles, Mr Bandurski says many Chinese journalists are keen to push the boundaries of what is allowed. “The media is becoming savvy about which stories are completely taboo and which stories have some wriggle room, even for a short time,” he says. The media was not always so strictly controlled in China. Zhan Jiang, a journalism professor at Beijing’s China Youth University for Political Science, says there was more freedom to report political issues in the 1980s. But that relatively relaxed period came to an abrupt end in 1989 with the crackdown on the Tiananmen Square protesters. The professor is not optimistic that things will improve in the short term for Chinese journalists. “On one hand, (Chinese President) Hu Jintao suggests goals to aim for, such as democracy and the rule of law,” says Mr Zhan.